The Nam Tok Nang Yom is a small and actually a unspectacular waterfall on Koh Chang. Not many visitors travel here. But this is why this Nam Tok (Thai for waterfall) is special. Here you are most over the time lonely. In high season between November and March the small river don´t have water. The best time to travel here is the low season from April to October. The best way to come to Nang Yom is by motorbike. 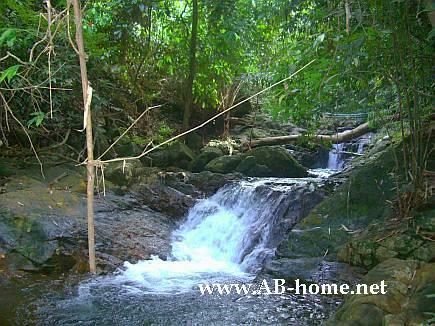 Just next to the 7eleven supermarket in Klong Son you will find the road to the waterfall in Thailand. From the parking area it´s about 20 minutes by foot on a small walking path. Sometimes if you are lucky you will see monkeys, hornbill birds and snakes on the walk thrue the jungle of the Ko Chang National Park. Enjoy your trip, but don´t forget to take sun creme and enough drinking water. The waterfall belongs to private land. 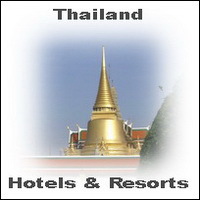 The entry fee was in the middle of 2008 20 Thai Baht per person. I took this Picture in the green season in August 2008.